At the end of each year, as we prepare to ring in the new one, many of us tell ourselves and each other, “next year will be different. It will be better.” And we believe it will. That somehow things will change, whether it’s in our personal or professional lives. We believe hoping and saying that it will be so might be enough. As fundraisers and nonprofits, like business owners and management, we likely make projections and plans for the coming 12 months or the next fiscal year. As a sector, along with most other industries, we face many challenges right now. Disruption in the form of difficult economic times, increased competition for donor dollars, global upheaval, reduced corporate giving, changing regulations and more. Making plans in the face of this is critical, of course, but for anything to be ‘different’, we must change our approach or we risk achieving the same results. If your approach and your methods aren’t part of an overall well-thought strategic plan, your chances of success decrease. In today’s world, fundraisers and nonprofits can’t afford to make mistakes or miss opportunities. There’s no second chances if there’s a misfire. Research and preparation, tedious as they may be, along with sound strategy, are three pillars that will never leave you flailing about and trying to recover from a misstep. Does your organization struggle with its efforts in defining an effective strategy? ViTreo offers a clear approach in an industry that can be overwhelming and often overcomplicated. Again, it’s human nature — but most of us get caught spending our days putting out fires. 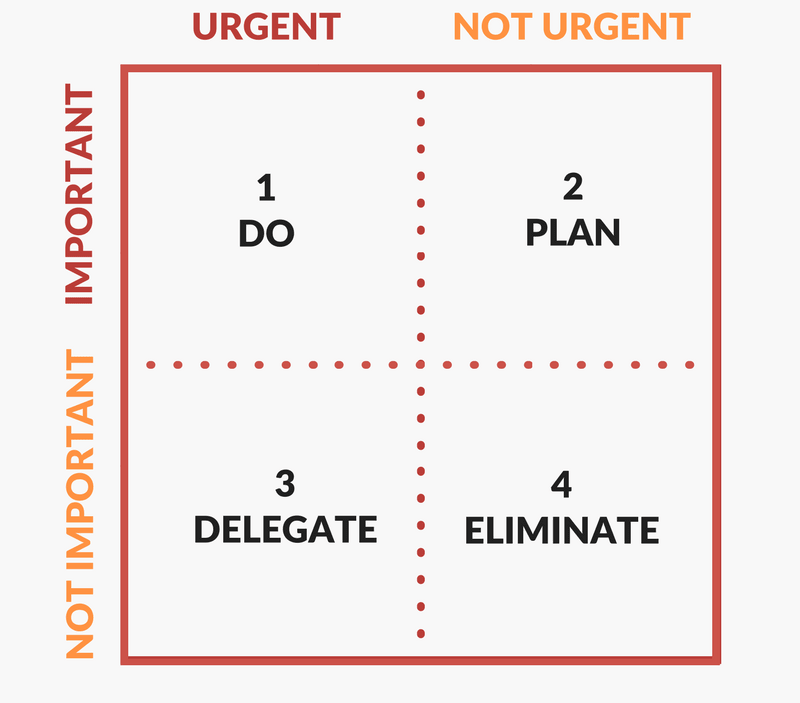 Whether you run a nonprofit, small business or larger organization, it’s an ineffective behaviour many leaders or managers get caught up in — neglecting the important but non-urgent work, which are the tasks required for success. And this is where we set ourselves up for failure. Go the extra mile — whatever that means and whatever that takes. Don’t use form letters. Create personal messages that show the recipients they are not just another name on the list. Just like they do in the Boy Scouts — be prepared. Always. Stay in touch on a consistent basis. Nurture relationships. Don’t wait until the last minute to begin cultivating your donors, making your appeals, stewarding your donors. Would you want to be treated that way? No one relates solely to figures and statistics. Show your (potential and existing) donors what the impact can be of their contribution. Tell them stories, show the changes in people’s lives. Create a line of sight so they can see what the results of their donations are, or can be. Today, none of us can afford to be complacent. By differentiating yourself, you increase your chances of being noticed, of being chosen and of being successful. The work we do is valuable. In the face of all this disruption and chaos, I urge you do it better and do it right. Thank you for reading The Provocateur! From all of us at ViTreo, we wish you and yours all the best in 2019. If you’re interested in learning more about how millennials are disrupting philanthropy, read our recent blog or listen to our podcast, Millenials are people, too.